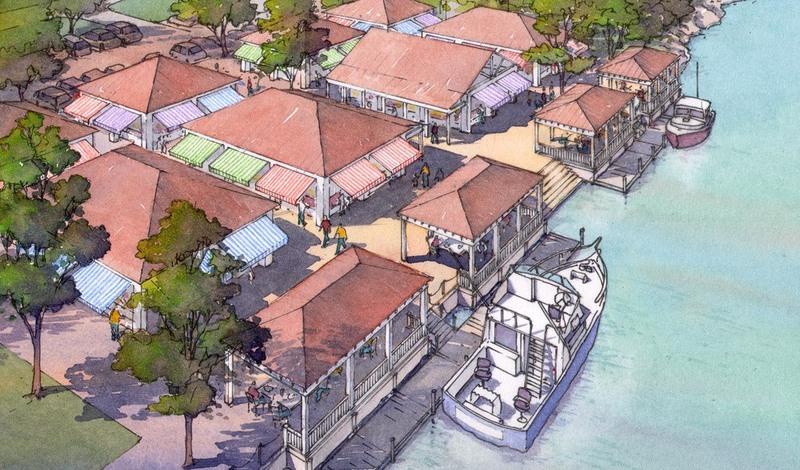 Jean Lafitte is an historic fishing community south of New Orleans, outside the current levee system. The community has been hit hard by flooding from natural disasters, made worse by the loss of bayou and higher flood waters due to the levee systems around New Orleans, and the BP oil spill in the Gulf. 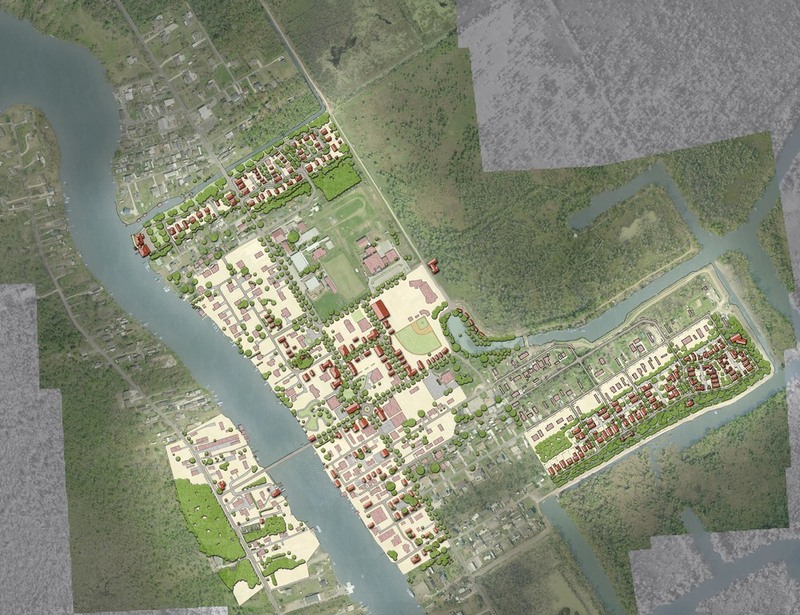 The Town of Jean Lafitte, working with the Center for Planning Excellence, set out to create a comprehensive resiliency plan that combines previous planning efforts and studies to create a roadmap to guide decisions related to economic, social and physical resiliency. Working with local and economic consultants, Dover, Kohl & Partners held a public charrette in the Town in November 2011. During the charrette, six principles for resilience were developed: Assess Opportunities & Threats, Enhance Local Assets, Focus on the Heart of Town, Diversify Mobility Options, Build Stronger & Safer, and Live with Water. With these elements a series of Town projects like the expansion of their boardwalk system through the Bayou, developing a nature center, adding a new dock and creating a fish market at Rosethorn Park for local fisherman to sell their catch, and enhancing the availability to their long history to help draw tourists were developed to show short term success giving confidence to the people in the town that they could still be there tomorrow. 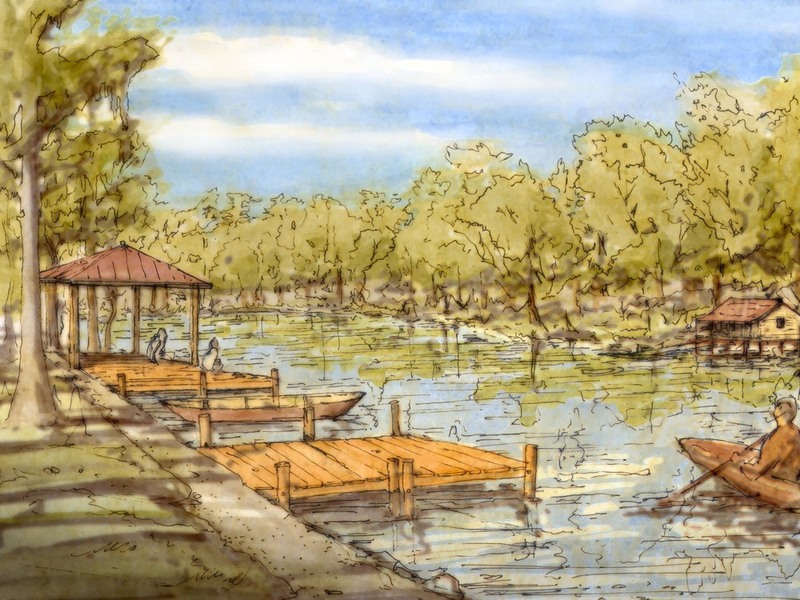 As a result of the outpouring of community participation and working with consultants from the Army Corps of Engineers, Jean Lafitte’s ring levee is included as part of phase 1 projects in the 2012 Coastal Master Plan for a Sustainable Coast. 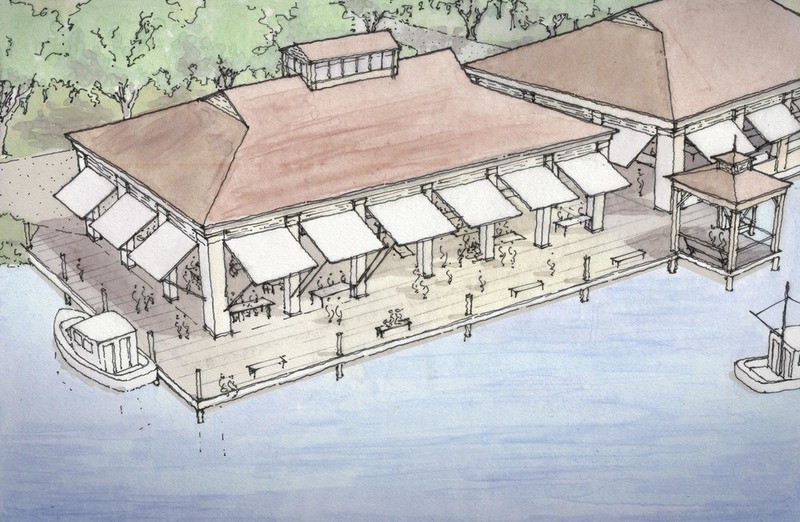 The Jean Lafitte Tomorrow Plan was unanimously adopted by the Town Council in April 2013.